We understand the benefits of looking like a core snowboarder rocking the beanie or snapback cap however at the end of the day helmets are designed to make sure we snowboard longer and harder. The Cynic helmet by Pret is the perfect option... it's super clean, simple and light. It somehow only weighs 425gms because of the In-Mold construction, their RipCord System dials in your fit for a compact and extremely comfy fit. The VTT 1 venting system allows for great airflow keeping you from over heating on those days where you just don't have time to stop. So you don’t look like you have strapped a big basketball to your head they have given the helmet an oval shape, providing a great fit. 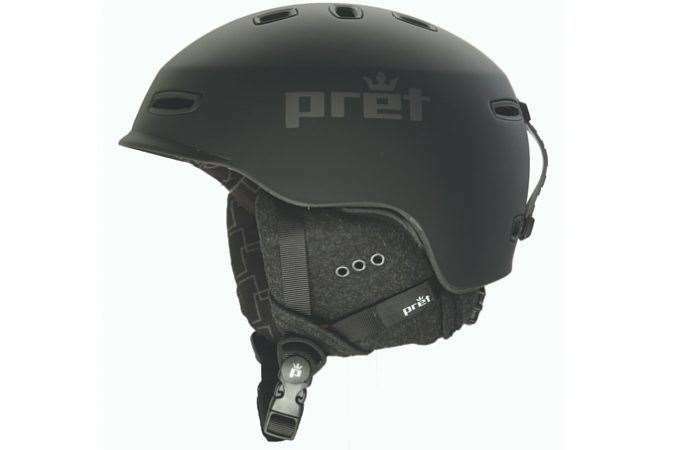 The helmet retails for AUD $179.00 ...that's pretty good to ensure your riding every good day this winter!